…and met the congregation in a beautiful clearing, with flowers studding Laura’s path down the aisle. We both loved Laura’s bespoke dress, the woodland flowers, the hula hooping displays from the bride and groom (Laura is definitely better though, sorry Ashley), and the genuine good vibes from the guests, who danced ‘til the clock struck midnight. A particularly special touch was that they merged their surnames together to create a new one: Cox + Housden = Coxden! Thank you for having us as your photographers, Mr & Mrs Coxden, we wish you both health and happiness for the rest of your years together. Find out more about our wedding photography service and contact us, here! 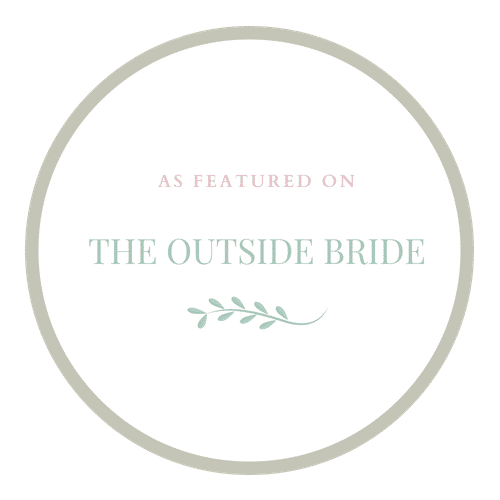 The wonderful Outside Bride featured this Nottingham wedding photographer in their real weddings journal!